We are very pleased to announce that ehabitats are now once again available up and down the eastern seaboard of Australia. We can now boast more than 15 successfully completed buildings across Victoria and Tasmania and we are ready to help you realise your habitat. ehabitat is modulated around standard 1200 x 2400 sheet material. The modules remain small and flexible enough to suit an incredibly wide range of uses. 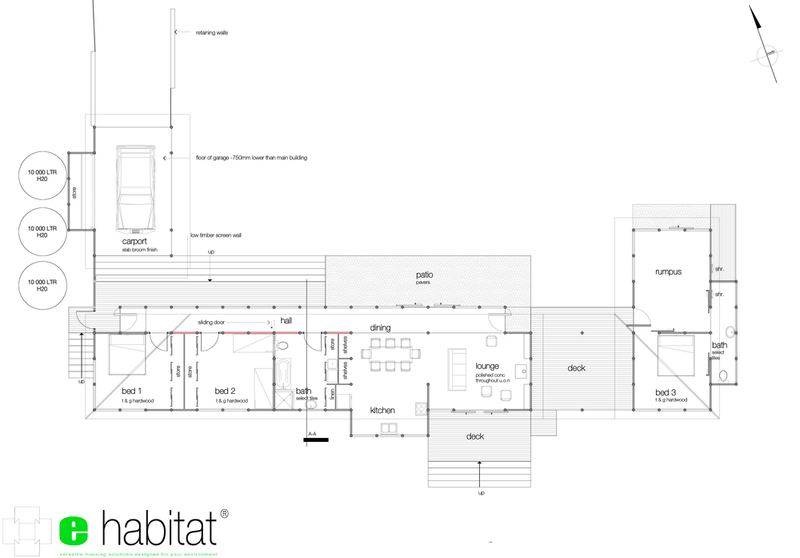 We don't sell 'off the shelf plans' we design each ehabitat to suit your requirements and your environment. See some examples of previous plans..